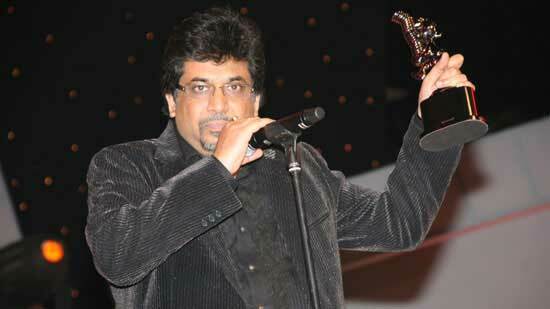 ANOTHER FEATHER IN MAAC CHOWRINGHEE’S CAP. 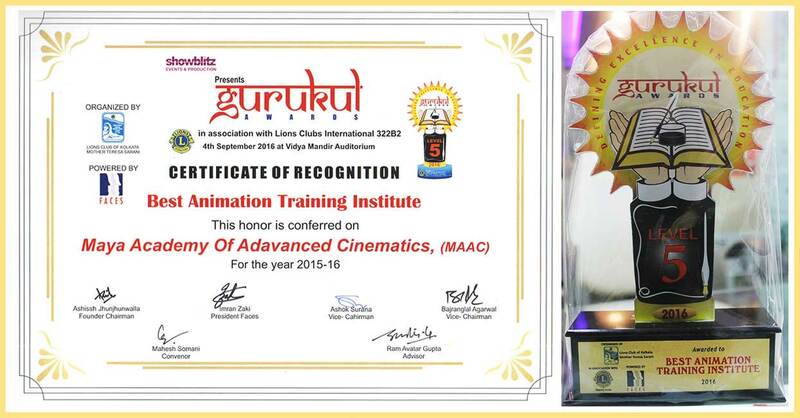 AGAIN WE ARE VERY PROUD TO GET HONOURED AND AWARDED BY GURUKUL AWARDS AS THE BEST ANIMATION TRAINING INSTITUTE IN KOLKATA. IT WAS ORGANISED BY LION’S CLUB OF KOLKATA MOTHER TERESA SARANI FOR THE YEAR 2015 – 2016 AND WAS HELD ON 4TH SEPTEMBER 2016 AT VIDYA MANDIR AUDITORIUM. 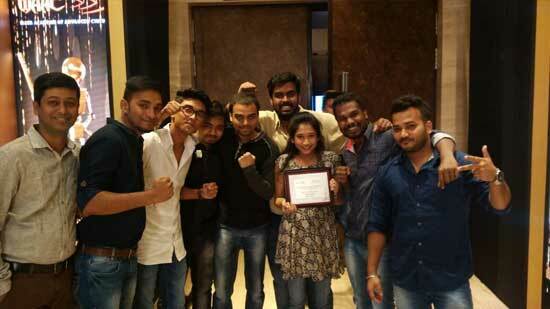 THREE CHEERS FOR MAAC CHOWRINGHEE TEAM!!!! BEST PLACEMENT AWARD (EAST ZONE) - CHOWRINGHEE 2016-2017. BEST PLACEMENT AWARD (EAST ZONE) - ULTADANGA (erstwhile KAKURGACHI) 2016-2017. LONG TIME SERVICE AWARD - RAJIB GHOSH. LONG TIME SERVICE AWARD - AJAY KUMAR SHAW. OUR STUDENT IS THE DESIGNER OF "DIGITAL INDIA" LOGO. WINNER OF "NYSA & COCA COLA OGILVY CHALLENGE" CONTEST.